Honda Cars India Ltd (HCIL) announced that the new Honda Amaze has recorded sales of over 30,000 units (wholesale) in the first three months of its launch. It is the highest sales recorded by any new model launched by HCIL in its 20-year history. Now HCIL's best selling new model ever, the new Amaze helped the Japanese manufacturer post a 12.5 percent growth from April to July 2018. The Honda Amaze diesel CVT develops 80 PS and 160 Nm from its 1.5L diesel engine. HCIL says that the automatic variants of the new Amaze (petrol CVT and diesel CVT) accounted for over 30 percent of total sales of the vehicle. HCIL introduced the segment first diesel CVT with the new Amaze, which uses a 1.5-liter four-cylinder i-DTEC diesel engine to develop 80 PS and 160 Nm of torque. Currently, the Amaze diesel CVT is available only on the S and V variants, though a report stated that HCIL was considering launching a range-topping VX diesel CVT variant in time for the festive season period. The Honda Amaze petrol uses the 1.2-liter four-cylinder i-VTEC petrol engine to develop 90 PS and 110 Nm of torque. It has a claimed fuel efficiency of 19 km/l, as compared to the diesel CVT's 23.8 km/l. The petrol MT gets a 5-speed transmission and delivers 19.5 km/l whereas the diesel MT, which also gets a 5-speed manual, outputs 100 PS and 200 Nm of torque and claims 27.4 km/l. The Honda Amaze offers dual airbags, ABS, EBD and reverse parking sensors on all variants. 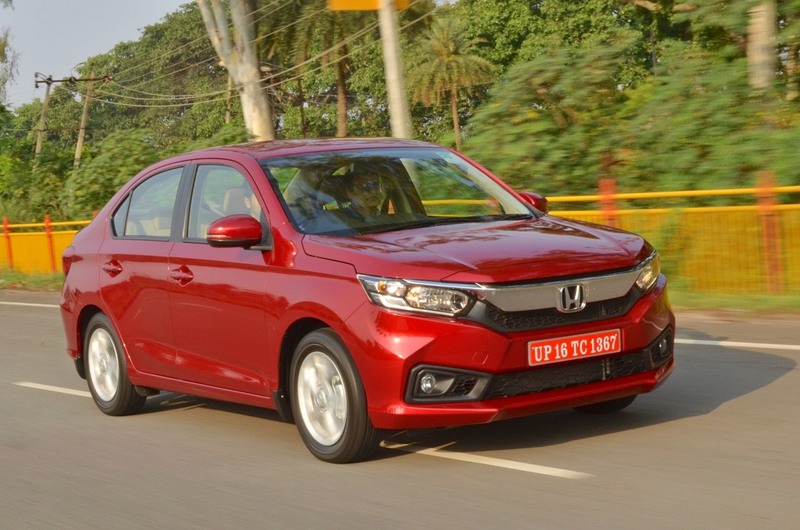 The Honda Amaze rivals the Maruti Dzire, VW Ameo, Ford Aspire and Hyundai Xcent. 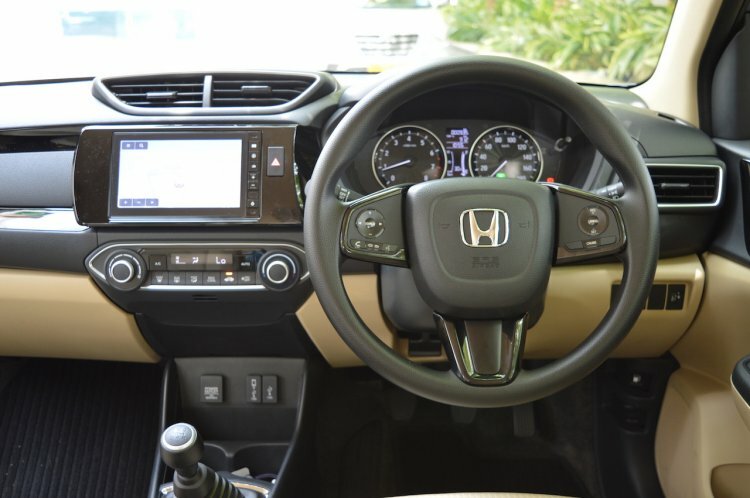 All variants of the 2018 Honda Amaze get dual front airbags, ABS with EBD and BA (brake assist) and reverse parking sensors as standard equipment.